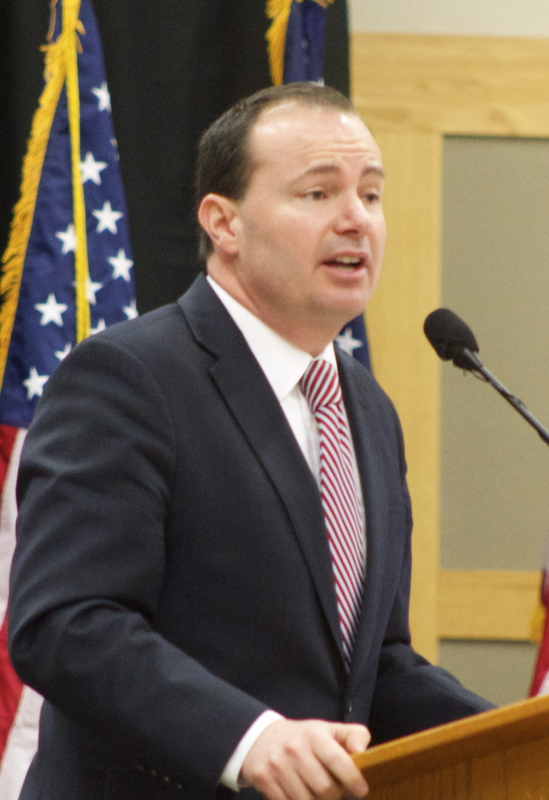 ST. GEORGE – Republican incumbent Sen. Mike Lee will be returning to the U.S. Senate for a second term thanks to a majority vote, according to preliminary election returns Tuesday. Lee defeats Democratic challenger Misty K. Snow who made history earlier this year for being one of the first transgender women in the nation nominated to run for federal office by a majority political party. According to official results reported by the state’s election website, as of early Wednesday morning, Lee garnered just over 68 percent of the vote, with Snow standing at 27 percent. Independent American candidate Stoney Fonua and unaffiliated candidate Bill Barron each took just over 2 percent. I want to thank my wife, my family, my staff, my volunteers, and of course the people of Utah who have entrusted me with this office and the many responsibilities that come with it. I am honored, grateful, and humbled by the opportunity. At times, this entire election year has been humbling for all Americans, and especially so for the political establishment in Washington, D.C. The message of 2016 is that the American people have become increasingly skeptical of the federal government. And make no mistake: they have every reason to be. Our large, distant, national government has harmed the people it was created to serve—first by taking power away from the people and moving it to Washington, and then by taking power away from the people’s elected representatives and giving it to unelected, unaccountable bureaucrats. This two-step power grab has made the rich and powerful richer and more powerful, but it has harmed everyone else. We don’t yet know the outcome of all the elections tonight. But we do know that whoever wins the White House and Congress, we all share one responsibility: to restore the public’s trust by returning power to the people. All of the people. We need a new, principled populism to reform the broken status quo in Washington – a new agenda that recognizes that our world has changed, our economy has changed… but our government hasn’t, and millions of our fellow Americans are suffering as a result. Elections are not the end of the process. They are the beginning. So, tonight, let’s celebrate a great victory. And tomorrow, let’s move forward with a renewed commitment to restore what has been lost, remember what has been forgotten, and rediscover the blessings of freedom. Freedom is a bold idea. With it—and in order to secure it for ourselves and for our posterity—we have to do bold things. As we all know, in America—especially here in Utah—freedom never means you’re on your own; freedom means we stand together. Lee came on the political scene in 2010 after ousting of the late Sen. Bob Bennett in the primaries during the so-called anti-incumbent Tea Party rebellion taking place within the GOP at the time. 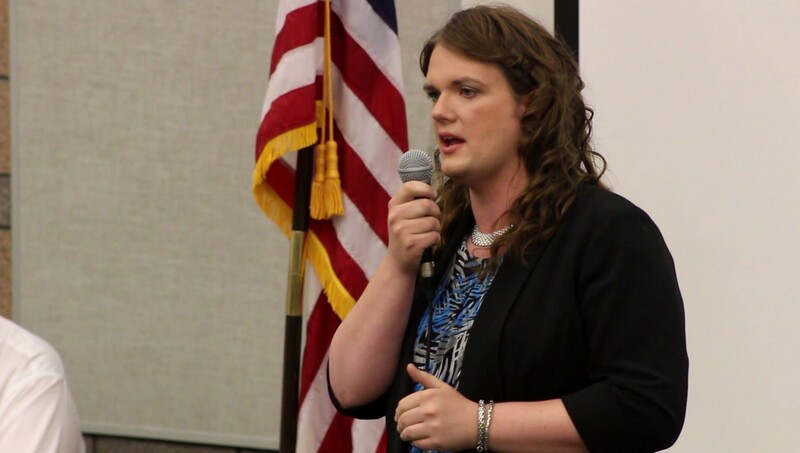 Snow, a 30-year-old grocery store clerk from Salt Lake City, had hoped to become Utah’s first openly transgender senator. Due to her background, she told voters she could better identify with the working class, as well as millennials. Elements of Snow’s campaign centered around a $15 minimum wage, legalizing marijuana, criminal justice reform, tuition-free college, climate change, health care and LGBT equality. “One thing that I want everybody to remember about my race is that it doesn’t matter what you look like, where you’re from, what your background is, what your education level is, you can run for office, you can make a difference, in your community you can give a voice to issues you care about,” Snow said, as reported by KUER. Bill Barron, the unaffiliated single-issue candidate who focuses on the environment, also issued a statement regarding the election results, noting that his message has been gaining some support when compared to previous elections. Currently 16,254 (2.27 percent) of people in Utah have used their vote to make a statement of the need to address climate change with 16 of 30 Counties reporting. In 2012 I received .7 percent of the vote, in 2014 1.5 percent. As a single issue unaffiliated candidate we urgently need whatever the numbers to be the catalyst for action on climate change in Washington DC. The numbers released Tuesday night are unofficial and will be officially canvassed and certified by civic officials in the coming weeks. St. George News reporter Hollie Reina contributed to this story. Too bad for Misty. Must be a real kick in the _ _ _ _ to lose this one.